The Danube Transnational Programme (DTP) is launching its third call for proposals for its priorities 1, 2, 3 and 4.1. The Programme offers financial support to transnational projects contributing to the development of a more innovative; better accessible and sustainable Danube region. The programme has been designed under the territorial cooperation goal of the European Union. In practice, the programme combines financing from the EU structural funds - European Regional Development Fund (ERDF) and the EU external funds – Instrument for Pre- Accession Assistance II (IPA II) and European Neighbourhood Instrument (ENI). DTP supports policy integration in the Danube area through projects addressing key challenges and opportunities of the region in specific fields of action, below the EU-level (not duplicating efforts in policy integration at the EU-level e.g. TEN-T) and above the national level. Transnational projects should influence national, regional and local policies (policy driver). 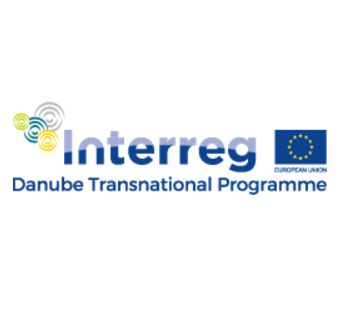 In order to achieve a higher degree of territorial integration of the very heterogeneous Danube region, the transnational cooperation programme will act as a policy driver aiming to tackle the common challenges and needs deriving from specific policy fields. Therefore, transnational cooperation is expected to deliver tangible results through the development and practical implementation of policy frameworks, tools and services. To this end, the programme looks to promote concrete pilot investments. Strengthening the capacity of the so-called support ..
 Integrated ground water resources management (from quality and / or quantity aspect) can also be potential topic, in case the transnational relevance and approach can reasonably be proved by a project.  Managing water resources from quantitative aspects (balanced usage, inter-sectorial coordination and cooperation) having transnational impact on water bodies can also be considered as possible project topic. In the restricted Specific Objectives, only the topics addressed and outlined in the table above will be considered for financing, based on the quality assessment. The programme will allocate up to EUR 50,910,917.75 of ERDF, EUR 3,300,163.83 of IPA and EUR 5,134,221.15 of ENI to the third call for proposals. The maximum EU contribution to the projects is 85% (for ERDF, IPA and ENI project partners). The call will be open from the 28th January 2019.
procedure. In the “First step”, applicants are requested to submit electronically, through the programme monitoring system (eMS), an Expression of Interest (EoI), outlining mainly the intervention logic of the proposal and its strategic relevance for the DTP. No additional supporting documents are to be delivered at this stage.  In the “Second step”, the pre-selected project proposals will be invited to submit an Application Package including a fully developed Application Form (AF), which will contain more in-depth information about the content and it will be the basis for the selection of the project proposals. The Expression of Interest (EoI) has to be submitted to the Joint Secretariat through the programme monitoring system by 14:00 Central European Time on the 8th March 2019. The AF has to be submitted by the pre-selected projects to the Joint Secretariat through the same programme monitoring system, in autumn 2019. The duration of projects must not exceed 30 months. This limit applies for the operative phase of the project and does not comprise the preparation phase. Each project has to appoint a lead partner who is responsible for preparation and submission of the application form. In case of approval of the project, the lead partner takes over the full responsibility for management, communication, implementation, and coordination of activities among the involved partners. The lead partner bears legal responsibility for the whole partnership. The lead partner is also the link between the project and the Managing Authority/Joint Secretariat (MA/JS) of the Programme. Lead Partners have to be located in an EU Member State of the Programme Area. The Lead Partner cannot be changed between the two steps. Availability of ENI funds for partners from Republic of Moldova and Ukraine will be under the condition that the compliance of the control systems of both partner states is stated by the programme Audit Authority and the revised Financing Agreement for Republic of Moldova is signed. The Programme covers 14 countries, 9 of them EU Member States (Austria, Bulgaria, Croatia, Czech Republic, Hungary, Germany-Baden Württemberg and Bayern, Romania, Slovakia and Slovenia) and 5 non-member states (Bosnia and Herzegovina, Republic of Moldova, Montenegro, Serbia and Ukraine). As a general rule, EU financing is only provided to project partners located in the programme Area. Each project has to involve at least three financing partners from three different countries of the programme area: the Lead Partner and at least two project partners. Out of these financing partners, at least one, the Lead Partner, has to be located on the territory of an EU Member State of the programme area. Applicants located outside the programme area but within the EU are not eligible to apply for funding as project partners in the 3rd call.